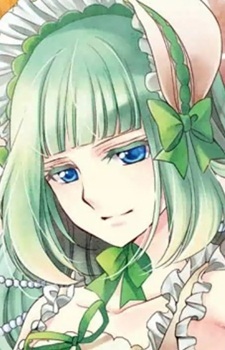 She is a "substitute actor" without a personality that acts as a vessel to personify both Beatrice and the rules of her game, she was created by Bernkastel to be the "reader" of the seventh game, Requiem of the Golden Witch, similar to the role that Ange held during Dawn of the Golden Witch. Her name signifies that she is the final guide of Beatrice's game. Clair can be considered a tool rather than a person, allowing Yasu to confess to Willard H. Wright, Lion Ushiromiya, and Bernkastel without revealing Yasu's own "pitiful form." She exists only in the meta-world and doesn't appear within the game board. Also she is the original form of Yasu's Beatrice, who is made to match the image of a ghost that haunts Rokkenjima with a pure white dress and contrasting personality.